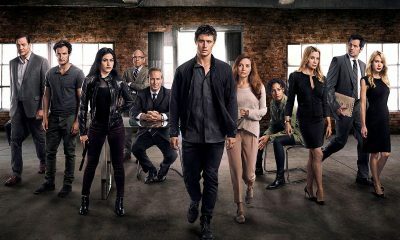 In the new drama series CONDOR, which follows the theme of the film “Three Days Of The Condor,” an intelligence analyst Joe Turner [Max Irons] finds himself in the crosshairs of a vicious government conspiracy that leaves him running for his life and with no one to trust. When everyone you thought you knew is suddenly dead or intent on killing you, there leaves virtually no one to turn to. Fortunately, there is a good reason this particular analyst was hired by the government in the first place — Joe can out-think them and outsmart them — if he can find a way to keep moving so that he has time to strategize a way to fight back and clear his name. 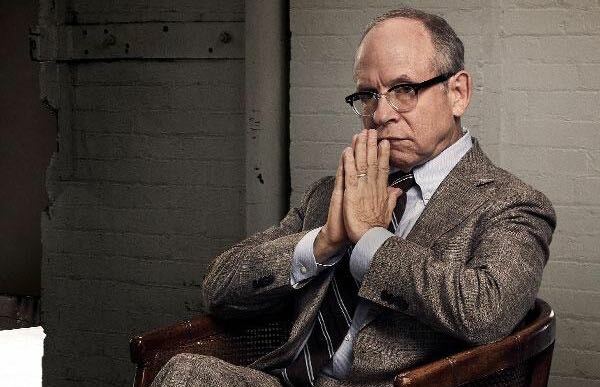 In an exclusive interview, co-star Bob Balaban previewed his tantalizing role in the thriller series CONDOR. How did you come to join CONDOR? BOB: Actually, I first heard about it from a man named Warren Littlefield, who ran NBC and I played him a bunch of times on television. I played him on SEINFELD and I played him in THE LATE SHIFT on HBO. And Warren said, “Well, I got some producer friends who are doing this really interesting project they’re gonna ask you to be in.” So my ears perked up immediately, and then I heard from everybody and read the script, and I will say, when I heard they were doing a series based on “Three Days of the Condor,” I was like, “Sign me up, please. Right away. I’ll be the condor. I don’t care.” Then I read it, and I thought it was very well-written, and I’ve had a great time and I’m very glad to be doing it. It’s a great balance between psychological, and emotional, and action, and danger. I find, more or less of the time, you can qualify these things. You can describe them by being one or the other, and I love the fact that this makes twists and turns and it could spend 20 minutes or half an hour being about a relationship, or a love interest, or something you don’t expect to find in a CIA action/adventure thing. It’s a bunch of things, and I think they all go together well, and it makes it different. How do you describe who your character Reuel Abbott is? 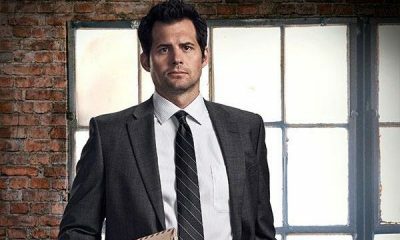 BOB: I play a very dedicated CIA executive guy. He’s not the head person, but he’s up there in the CIA. Bill Hurt is under him a little bit and they have friction, but like each other. And I hear Max Irons and [my character] will be doing a little bit of dueling in the next season, but essentially I play a character devoted to his causes and his point of view. He thinks he’s right about everything. He’s very religious. He prays. That was something that came out in the beginning. So I found that. It’s just a little thing, but it was kind of interesting. And I like the fact that my character, in the first season, has an emotional drama going on along with the rest of it all. His wife is dying during it. And I thought, “Well, it’s a lot of interesting things to play, and it’s good to be a part of something with this quality of actors in it and this quality of writing, and the producers are really nice people.” [Laughs] They don’t torture you. Would you say it was a fun filming experience for you? 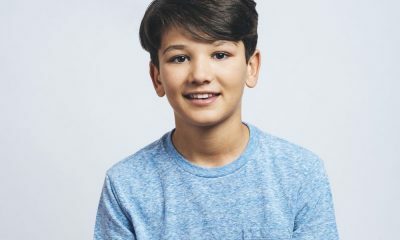 BOB: I would say it was fantastic except, and I love Toronto, which is a great city, but my life was such that I didn’t live in Toronto during it, and my character doesn’t leave, and I don’t want to have live in Toronto for that because I’d be doing a day and a half or two days and then I go away for two weeks or 10 days, so I was happy to commute and exhausted from it. Who do you get to really interact with? Do you get to meet Max’s character Joe Turner? BOB: I interact with Max a fair amount, with Mira [Sorvino] a little bit, with Brendan [Fraser], ’cause my fingers are in a lot of pies, but you keep reading these things and you realize no matter who you are or what you are in this thing, there are so many plates spinning at the same time. I mean, it’s nothing like GAME OF THRONES, but it’s almost like you’re gonna have to watch it for a couple of episodes so you can figure out who all these various characters who seem to live in different worlds that wouldn’t even be connected are connected. And it’s been very interesting because I think the two writer/producers who created this thing are really smart, and I’ve noticed that as they cut these things together with the ability to look back and go “Oh, I think we have to add this plot point.” Or, we’ve gone back and not even re-shot some things, we’ve added some connective tissue: phone calls to people and other incidents that help. Clearly, when it’s put together, they needed to clarify a couple of things, ’cause the plot is really interestingly. It’s convoluted and very complex in a really good way. There is a lot of characters tied together with connective tissue to keep that thorough. But it moves so quickly, which is unusual for a political thriller to move at the pace it is. BOB: And also to move fast, but not just to be about kinetic energy. Which, I said something on the thing there, which really wasn’t anything anybody was talking about, but it really is like taking “Three Days of the Condor” and seeing it through a microscope. What did they do five years ago? What are they really doing now? How do they really feel? And it’s like it’s just enlarging all those interesting things that were going on in the movie and making each of them so much more … which they shouldn’t have done in a 98 hour action/adventure movie that also had great characters, but when you spread it out for 10 hours and you’ve got an awful lot of great internal lives going in the middle of it, it’s pretty exciting. It shows a lot motivations for each character, which you don’t get a chance to see in the movie. BOB: Television and entertainment is cyclical, and right now it changes every hour because the technology is changing. But, I know five or 10 years ago — I write, and I produce, and direct sometimes — and I was always trying to get on mini-series, and it was like, “We don’t do them. That was old fashioned. That was in 1972 where you have the mini-series.” There weren’t many of those and now it’s the world of the mini-series and the continuing series. But I love mini-series, and this, to me, feels like an expanded mini series. I mean, it could go on for years. I think most of us are signed for a year or two years, ’cause I don’t think they know where it’s going exactly or where it could go. But I love the idea. It’s why you have to binge-watch now, because there’s gonna be so much detail and so much depth for an episode or two, you just better open your mind and your heart and absorb these people because you’re gonna know what’s going on soon, but you have only a little period where you’re gonna have to get acquainted. It is apparent right away that’s there’s gonna be quite a death toll in this series. A lot of people are dying. The stakes are incredibly high with the government and the shadow government and everything being involved so you don’t know who to trust. That’s a big issue right away is literally anybody could be involved and you would not know. What you like to think that fans would appreciate about this series? BOB: I think people would love it for its originality because I think that’s key to getting attention in a market that now has 150 choices of really interesting and intelligent series — maybe not 150, but certainly 30 at least. And I think you’ve gotta stand out, and you can’t stand out by being strange on purpose, you actually have to be original. I think this series is original, I think it’s exciting, I think it’s psychologically complex, and it’s got both great acting and great action, and that doesn’t happen much together. And the caliber that they layered into those performances. As you know, there are so many movie stars who are great actors waiting to do the right movie, but you have a much better chance of finding an original well-written character on a television series now than you do in many movies. 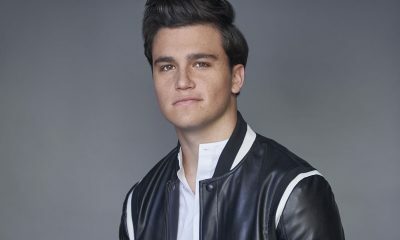 To see if Joe Turner can find anyone to trust when it seems like everyone is out to betray him while there is a target on his back, be sure to tune in for the premiere of CONDOR on Wednesday, June 6th on Audience Network available on DirecTV. To see special clips from the show and get further information throughout the season, you can follow the show on Twitter @CondorATT.